Why waste money on paying web developers when you can simply download a few software, watch a couple of tutorials and make a website yourself. How difficult could it be, right? Wrong. Honestly, most businesses ignore the importance of having a good website. Consumers judge a website and its products long before they decide to make a purchase. They see it as a reflection of the quality of your business. Which is why a badly made website could become a reason for the loss of prospective customers. It is important not only to set up a good website but it is equally important to keep it maintained and running. A strong online presence rests on the visibility, presentation, functionality, professionalism, and uniqueness of your website. A good website can make or break your business. Prospective customers create an opinion about your website based on its appearance. If the website doesn’t look appealing, professional or functional, they will simply not bother staying around to look at what you have to offer. Professional developers can help you create the kind of website that leaves a lasting impression on prospective customers. If the website is badly coded, users may experience problems while using some features. Professionals have expertise in more than one area including design, programming, video development and content writing which ensures that the coding for the design as well as the content is optimal and that the website functions smoothly without any technical or operational errors. Designing the website yourself would mean using a pre-designed template. Professional web developers will customize your website based on the specific objectives of your business to make it look one-of-a-kind. This will ensure that your business stands out among your competitors. While a well designed and functional website can attract an audience, good content is what will keep them around. Professional web developers use a Search Engine Optimization technique to get good rankings for your website from search engines. With SEO, a web design company codes your site in a way that communicates the specifics of your pages to Google and other search engines. This gives your website a chance to appear on the first page of Google which can also get you an upper hand in courting potential customers. Hiring a professional web development company to develop your website can help you save time, efforts and money. With their experience and expertise, they can deliver quality results faster. This helps you save time so that you can focus on other activities that require your attention. A website should not be difficult for users to navigate on. Expert professionals will know how to keep your website easily accessible to your audience. They can help you make your website user-friendly. This also includes making your website usable not just from a computer, but also from a mobile phone, tablet, or anything else that connects a customer to the Internet. You may not necessarily know everything about technological advances such as new plug-ins, features, tools, and apps that can be used to improve your website. Professionals have the knowledge of all the latest technological features and upgrades. They also have access to the resources that can be used to ensure that you don’t lose potential customers owing to an outdated website. A single person may not have the time or the tools required to keep a website running. Professional web developers, however, will follow up, update and maintain your website to keep it in line with the latest trends and technologies. They will also keep a constant check on your website in case any problems arise. This will ensure that your audience continues coming back to your website. In addition to automated technology to save you time and improve service, hiring professionals also help you increase revenue with minimal effort. If it is easy for your client to find all the details about your product or service on your website, they’ll want to engage with you repeatedly. In the long run, this will help you repeat business, expand your customer base and increase revenues. 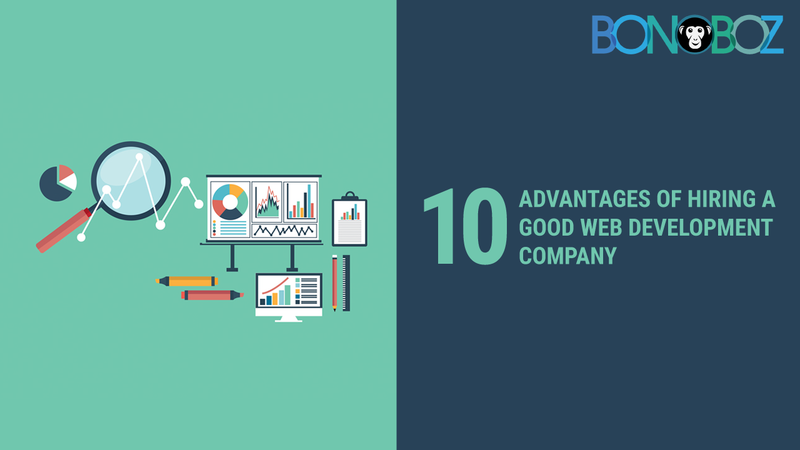 Some business owners might argue that most of these things can be done by anyone and may try to cut costs by avoiding professional web developers. In this, they do not see the damage a poorly constructed website can cause to their business in the future. Professionals have the proper tools, training, and the experience to do the job correctly, on-time, and at a fair price. Hiring a professional web development company is an investment where you spend money upfront to make as well as save money in the long run. Previous Previous post: What are SEO Backlinks? How Does it Help to Get Higher Rank in SERP?